Although the immune system puts up its fight, you can take steps to ease the pain of an ear infection. Applying a warm washcloth or heating pad can be soothing. (Only use a heating pad if your child is old enough to say when it’s too hot.) Ear drops provide rapid pain relief, but check with your doctor before using them. Over-the-counter painkillers, such as ibuprofen and acetaminophen, are also an option. DO NOT give aspirin to children under 16. Antibiotics can cure an ear infection, but research suggests treatment is not always necessary. In most cases, children’s immune systems can fight off the infection without help. In one study, parents were asked not to give their child antibiotics unless the infection was “not better, or worse” after 48 hours. The delay resulted in far fewer kids taking antibiotics. If an ear infection doesn’t improve on its own after a couple days, medical treatment is essential. Left untreated, severe and recurrent middle ear infections can have long-term complications. These include scarring of the eardrum with hearing loss, speech and language developmental problems, and meningitis. A hearing test may be needed if you child suffers from frequent ear infections. If your child has recurrent ear infections or fluid that just won’t go away, hearing loss and a delay in speech may be a real concern. One solution is for your doctor to insert small tubes through the eardrum. 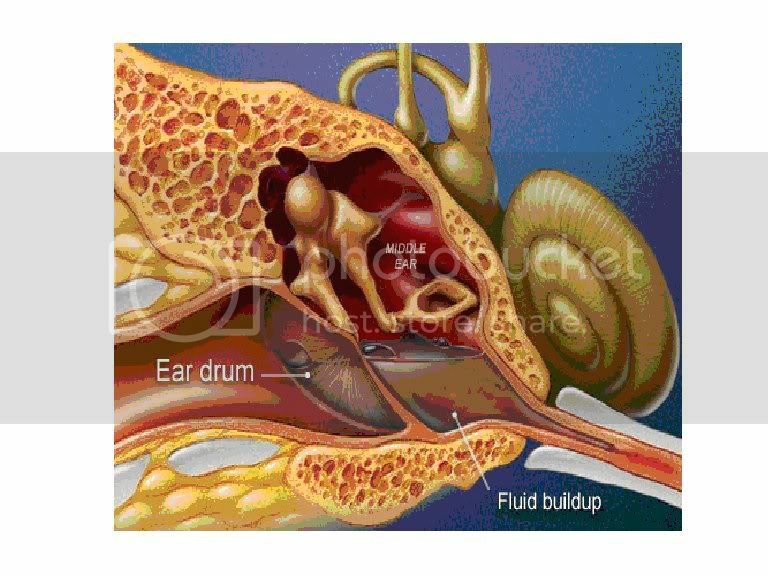 Ear tubes let fluid drain out of the middle ear and prevent fluid from building back up. This can decrease pressure and pain, while restoring hearing. The tubes are usually left in for 8 to 18 months until they fall out on their own. Swimmer's ear is an infection that occurs when water is trapped in the external ear canal. Bacteria breed in the water and cause pain, swelling, and itching of the outer ear. Although it’s often associated with swimming, anyone can get swimmer’s ear. 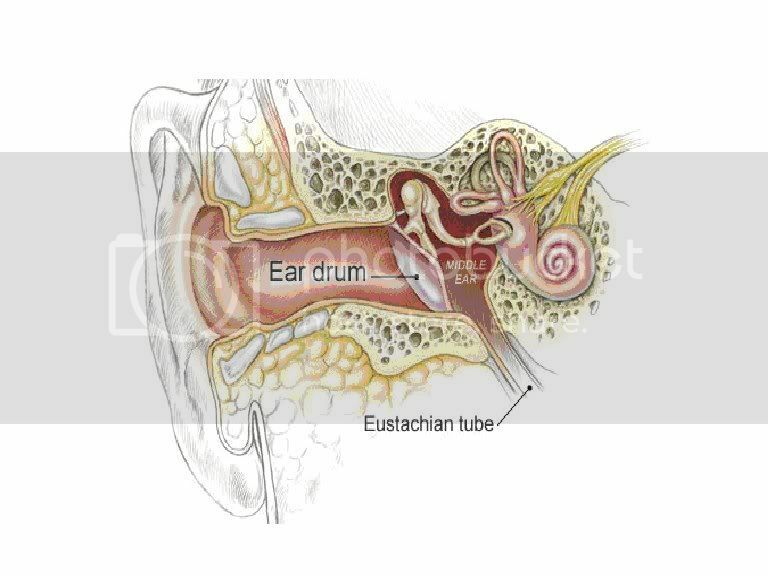 The condition is usually treated with ear drops and is not a cause of middle ear infections. Last edited by trimurtulu; 02-19-2009 at 12:05 AM.